Size: 100mm x 50yds. 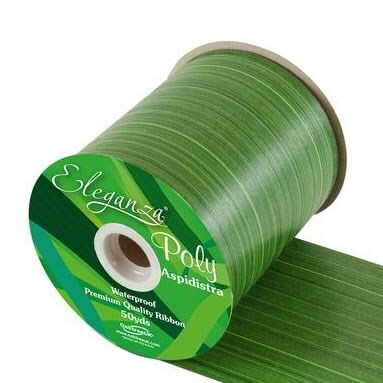 Waterproof Green Aspistra Leaf Print Poly Ribbon. Typically used to line transparent glass vases to hide the flower stems.